Cryptocurrency, still in its infancy, has almost become synonymous with volatility. Large swings in price have come to be expected by all, and are also one of the key reasons that the asset class has become so appealing to speculators. But what happens when one wants to “lock-in” the value of their cryptocurrency holdings, to protect themselves from downside risk? Is it only possible to rely on cumbersome transitions in and out of “normal” money, or is there an easier way? Fortunately for us, there exists a class of cryptocurrencies that are called “stablecoins”. A stablecoin, as implied by the name, is a coin or token which is designed to maintain a constant value over time. These give users an easily-accessible way to close out their cryptocurrency trades and positions, without having to withdraw funds into a bank account. But how is this stability achieved? For such a simple concept, it’s actually quite a complicated problem to crack. This has resulted in the emergence of numerous solutions. Let’s break each of these down, and summarise both their benefits and downsides. Fiat money is the term used to describe everyday national currencies, such as the NZ dollar, US dollar, or the British Pound. Coins backed by these currencies are the most predominant type of stablecoin seen today, many of which are backed 1:1 with US dollars. A trusted third party is usually required to take custody of this collateral, which makes this type of stablecoin a “centralised” solution, with a single point of failure. In order for such a coin to succeed, the third party must be trustworthy and capable enough to hold the fiat reserves, as well as sustain the capacity to redeem the stablecoins for fiat money in the future. Fiat-collateralised stablecoins can be treated as fiat currency for most intents and purposes, but they also provide additional functionality that is associated with cryptocurrency. This includes enabling quicker transactions between users and exchanges, as well as interoperability with smart contracts. One coin represents the ownership of one dollar – quite a simple concept. But are all of these USD-backed stablecoins created equal? Currently, the most prominent fiat-collateralised stablecoin is “Tether”, also known by its ticker, USDT. Tether has the most established history of all fiat-backed stablecoins, dating back to its inception as “Realcoin” in 2014. With a whopping USD$1.7 billion worth of USDT in circulation at the time of writing (equivalent to NZD$2.5 billion), Tether is by far the largest existing stablecoin and has many well-established trading pairs across several exchanges. Recently, however, significant doubt and uncertainty have arisen surrounding the legitimacy of Tether, specifically regarding their fiat reserves and banking connections. This has involved a string of dubious “audits”, dissolved banking relationships, and deviation in value from the USD peg (references). 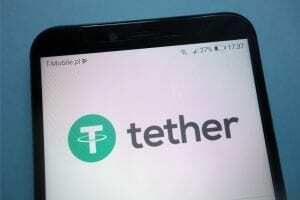 Some well-known figures in the cryptocurrency realm are sceptical as to whether or not Tether is holding enough money to fully back all of the existing Tether coins. May have regulatory trouble, since they have not always been compliant with KYC/AML laws. In light of the doubts surrounding Tether, a myriad of alternative fiat-backed coins have been created. Each of these has presented its own improvement upon the Tether model, especially with regards to regulatory compliance and audits of their reserves. The Gemini Dollar (GUSD) was launched in September 2018, by the well-renowned Winklevoss twins. They have been given the green light by American regulators - the New York Department of Financial Services - and promise regular, independent audits. These coins are minted upon deposit of US dollars and destroyed upon redemption of the collateral. Like the Gemini Dollar, Paxos Standard’s stablecoin (PAX) has been approved by the New York Department of Financial Services. They aim to redeem any coins for US dollars within a single working day and publish monthly attestations of funds confirming their reserves. Paxos themselves are an established financial institution. USD Coin (USDC) is a stablecoin which was created by Circle, a company backed by Goldman-Sachs. USDC have accredited bank partners who publish regular reports confirming their holdings. Since Circle now own the well-known cryptocurrency exchange Poloniex, this may provide them with a useful platform to introduce USDC trading pairs and ease their token into the market. TrueUSD (TUSD) is part of a platform called TrustToken, which allows the creation of coins backed by various real-life assets. US dollars backing TUSD are held in an escrow account, which keeps it from being directly accessible by the TrustToken organisation. Like the others, they publish regular attestations of their reserves. Since they are all relatively recent creations, it will take some time for trading volume to develop in these stablecoins. They may also eat into each others’ market share, which will certainly contribute to a fragmentation in liquidity and availability of trading pairs. We expect that the most successful coin in this category will emerge as a result of superior trust and support by exchanges, enabling the greatest combination of confidence and liquidity. Some of these stablecoins may not be backed purely by USD reserves. USDC, for one, have claimed that they may diversify reserves into securities, possibly leaving them vulnerable to a bank run. A more local fiat-collateralised stablecoin you may have heard about is the NZDT token, which was facilitated by New Zealand-based exchange, Cryptopia.co.nz. This stablecoin was backed 1:1 by New Zealand dollars, and facilitated trading pairs in denominations that were more familiar for Kiwis. NZDT was discontinued earlier this year but may be making a return in 2019. Another type of stablecoin is the crypto-collateralised coin. Rather than being backed by a fiat currency, these coins are backed by cryptocurrency reserves. The Ethereum-based Dai token is currently the most famous one of these. It is important to highlight that its value is pegged to the US dollar, and not the cryptocurrency with which it is collateralised. Dai is backed by the Ethereum cryptocurrency. Due to the volatility of Ethereum itself, however, the Dai system requires over-collateralisation and incorporates a variety of other mechanisms to ensure price stability. Each “loan” of Dai is backed by about 150% of its value in Ether. If the value of this collateral falls enough to pose a risk of default, it is liquidated to cover the loan. If somehow the Dai-USD peg breaks, the alternative mechanisms activate. These include incentives for each participant in the system, which are described in more detail in their whitepaper. No trusted third party is required for this coin, since it is managed by a smart contract. Somewhat experimental, and has not yet proven its capacity to overcome a “shock” event. Stablecoins aren’t solely required to be pegged to fiat currencies. After all, many proponents of cryptocurrency are attempting to escape from the over-inflationary nature of fiat currency. This gives an excellent reason for commodity-collateralised stablecoins to exist. Such coins are backed by a standardised unit of precious metal or other commodities, and redeemable for the physical delivery of that good at any time. Digix Gold Tokens, for example, are each redeemable for 1 gram of gold bullion, which is physically redeemable in Singapore. Tokenising these commodities enables exposure to physical goods within the cryptocurrency ecosystem, in a more dynamic and liquid way than traditional methods. Commodity-collateralised stablecoins are similar to those which are fiat-backed, in the sense that users must trust the third party for custody of the commodity. Somewhat difficult to take physical delivery of the commodity. Algorithmic stablecoins generally utilise a system that automates the control of a coin supply, in order to maintain its value. These systems can dilute the value of the coin by releasing more of them into circulation if the price rises above the target price (usually $1). Alternatively, if the value of the token drops below the target price, it can buy back and burn coins to reduce the supply. Since the coin has no inherent value or backing, this style of system is the least “concrete” of the stablecoin categories we have covered and has its limitations. One major constraint of this system lies in the project’s capacity to remove tokens from circulation. If their ability to do this is exhausted, the peg can no longer be upheld, and the stablecoin will fail. Algorithmic stablecoins also present the largest amount of downside risk in the event of a collapse, since the holder has no claim on real-world assets or other cryptocurrencies. Does not depend on risky collateral to uphold its value, as in crypto-collateralised stablecoins. Similar systems such as Nubits have not stood the test of time. 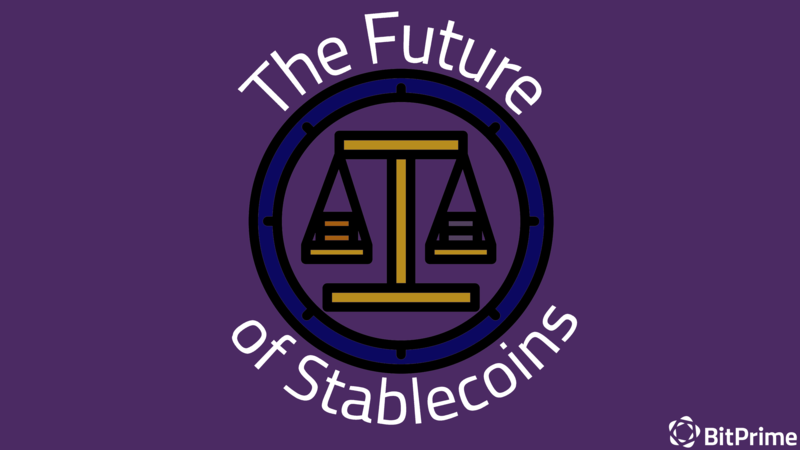 What does the Future Hold for these Stablecoins? The use of stablecoins will likely only be necessary for as long as major cryptocurrencies, like Bitcoin, remain volatile. If cryptocurrency is indeed here to stay, these major currencies will eventually reach a saturation point in adoption, resulting in much greater value stability than we see today. This adoption process, however, will likely take years (or even decades) to occur, signifying that stablecoins will remain a very necessary tool in the meantime. Since these tokens are so reliant on trust and compliance, the coin or coins with the best reputation and functionality will likely outlast the others. This will likely result in a transition away from Tether, which is losing trust, and move towards the most-trusted and widely-integrated “new” fiat-collateralised stablecoin(s). There is also the chance that some governments put their national currency on the blockchain. They have plenty of incentive to do so, including improvements in control and accounting, and programmability. Provided that this “blockchainised” fiat can integrate with cryptocurrency exchanges, it may remove all need for fiat-collateralised stablecoins. Crypto-backed coins are still somewhat in their experimental phase. Coins like Dai are still to experience a proper test of their limits and have their economics verified to work. These tokens are becoming a trend, as real-world things continue to be put on the blockchain. Due to the cumbersome nature of delivering physical goods and the large variety of commodities that exist, it is likely that an abundance of these tokens will exist. Each of these may cater to a different geographical region and commodity. Algorithmic coins remain risky and are yet to prove their stability. It is likely that users will flock away from this type of coin, and towards those with more trusted systems. Stablecoins are a growingly popular tool for reducing risk and exposure in the volatile cryptocurrency world. They are designed for shorter-term transitions in and out of cryptocurrency, and it is important to remember that they are not an investment themselves. We do not recommend that you hold stablecoins for long periods, as they are all inherently riskier than major fiat currencies. Many advocates of cryptocurrency believe that ultimately, we will all end up shifting away from traditional currency systems. This stance leaves stablecoins as merely a temporary measure to preserve wealth while remaining in the crypto ecosystem, as the financial world makes this fundamental shift to a new currency system. What to read next: Have you ever wondered what happens to your Bitcoin and other cryptocurrencies when you die? Disclaimer: The above references an opinion and is for informational purposes only. Do not take this as personalised financial or investment advice. The opinions expressed by the author do not represent the opinion of BitPrime. Images courtesy of Shutterstock unless stated otherwise.